Other sizes and fabrication can be provided for an additional fee. 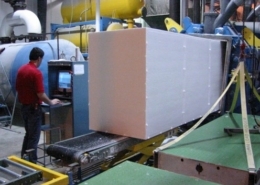 Foam-Control EPS Geofoam maximizes onsite installation efficiency: material arrives ready to place, no weather delays. 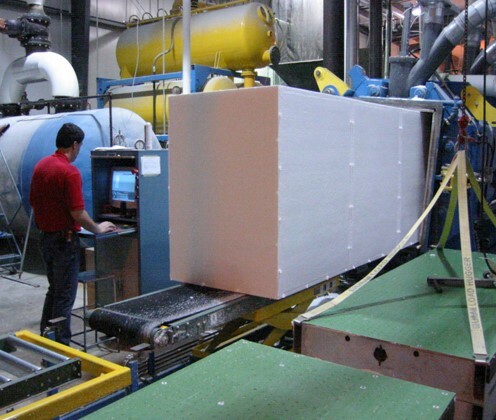 Foam-Control EPS is monitored for Quality Control and Listed by Underwriters Laboratories Inc.
For most applications, long-term design loads should not exceed the linear elastic range of Foam-Control EPS Geofoam. 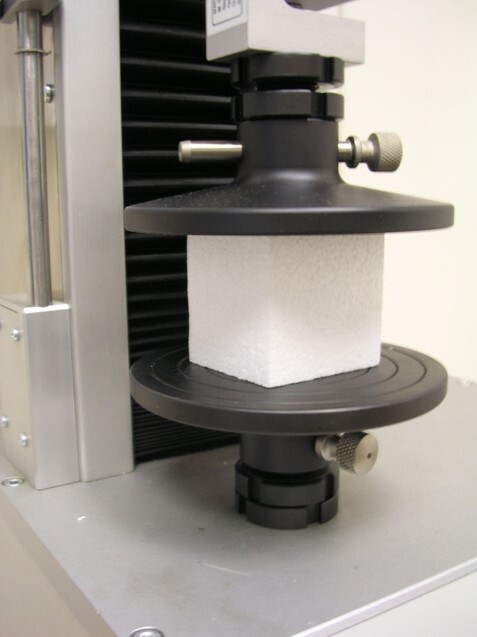 Combined live and dead load stresses should not exceed the compressive resistance at 1% strain. EPS Geofoam comes in large blocks that are easily handled by the contractor, it can be easily trimmed to fit around obstructions and other as built features at the project site. Geofoam maintains its volume over its complete life. 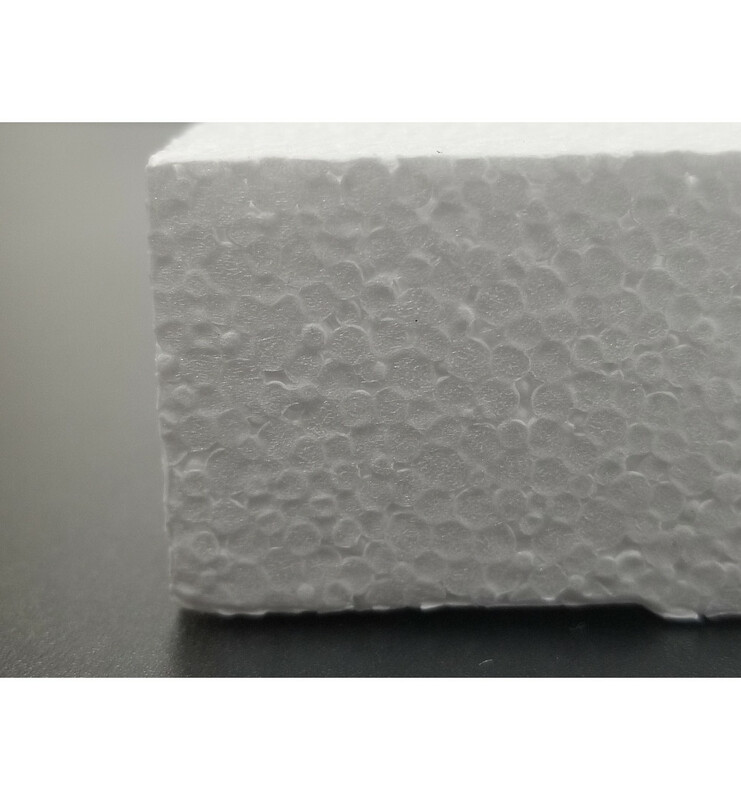 Geofoam is a low density material, its engineered to meet expectations, consistent in its makeup with few limitations and not weather sensitive. 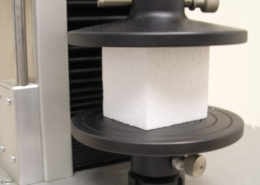 Foam Concrete – must be made onsite, dirty, noisy, can freeze in cold weather, can only reach a low density of about 25 lbs/ cu ft. Waste Tires – variable sourcing, not an engineered product, hard to transport and place. 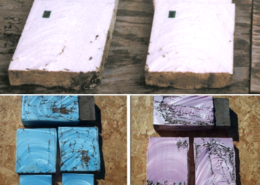 Light weight soils – these are still much heavier than Geofoam. Wood Chips – variable sourcing, variable species density, hard to transport and place, not an engineered material, can decompose. Wood Fiber – variable sourcing, variable density, hard to transport and place., can decompose. 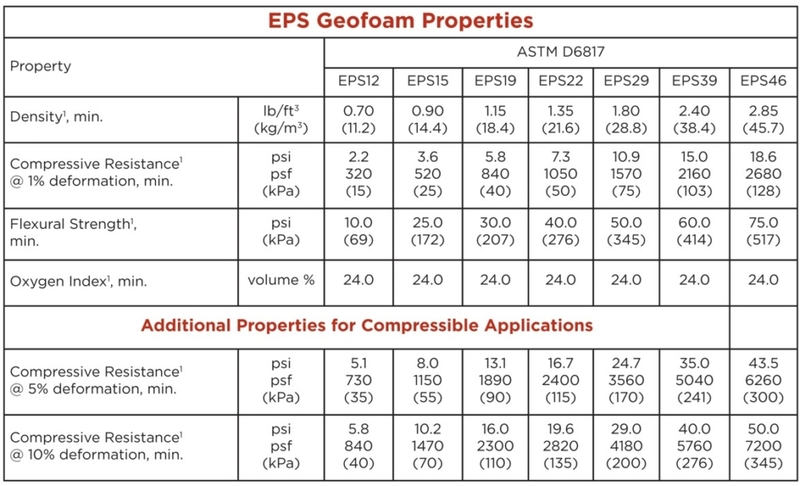 When considering all of the attributes of EPS Geofoam, you realize that it is an engineered material that has product features and benefits that are far superior to other potential fill materials. to view full reports visit our Resource Center page.